Waxes and polishes are the classic pioneers of paintwork care products whose protective properties never extend beyond two to four months because they either vaporise or are washed away. Without paintwork sealant, insufficiently protected paintwork is threatened by decomposition in the micro fine pores of the paintwork that are exposed without any protection to all environmental stresses such as UV rays, fly excrement, bird droppings, dust, etc. 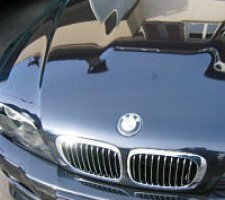 In addition, the layer thickness of the original paintwork is reduced after every application of polish or paint cleaner, resulting in potential exposure of the metallic layer. With perfect primer preparation carried out by us in-house, the LZ 730 paintwork sealant offers you long-lasting protection for your paintwork. By taking the utmost care in a gradual step-by-step process, we provide the basis for a 5-layer sealant that seals all paintwork pores against penetration of air and water. They are given a distinctly smooth, glass-like surface with the highest reflective shine effect. By lowering the adhesion of environmental stresses in the paintwork pores, we guarantee you a gentle carwash that will save time in the future. This prevents scratches from forming in the paintwork. Fly excrement and bird droppings can easily be removed without mechanical intervention and additional protection is provided to prevent paintwork corroding. 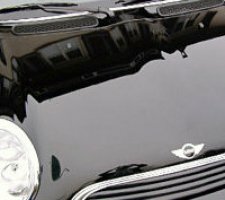 The UV protection provides all sensitive paintwork with long-lasting reflective shine and durable paintwork protection against bleaching. Minor surface scratches are absorbed by the LZ 730 paintwork sealant. The unique compositional behaviour of LZ 730 allows reworking of the initial sealant at any time. 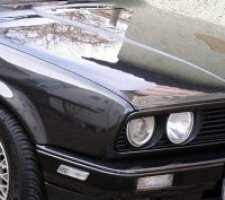 Irrespective of oldtimer, youngtimer, collector's car or new vehicle - LZ 730 paintwork sealant is recommended for all types of paintwork and is the solution you have always been looking for in terms of value retention.